Attached is a letter from President Lennon. 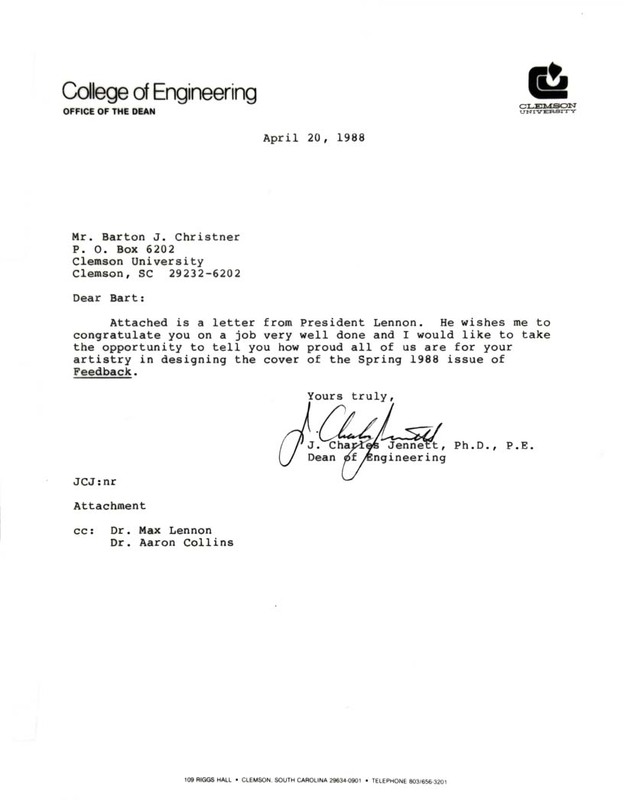 He wishes me to congratulate you on a job very well done and I would like to take the opportunity to tell you how proud all of us are for your artistry in designing the cover of the Spring 1988 issue of Feedback (IEEE Feedback Magazine). J. Charles Jennett, Ph.D., P.E.